After hours of cutting, piecing and sewing and hours of driving to Spokane, the baby quilt has finally been delivered to my niece, Annaliese. She had just turned two months old when we met her. I think she dressed to match the quilt. Henrik was fascinated with her and she was equally fascinated with him. 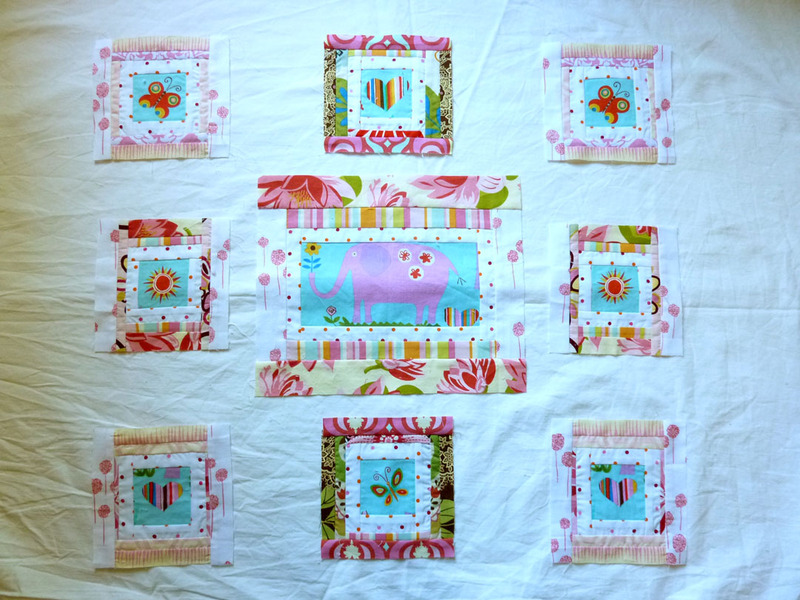 The whole process started at one of the PMQG Sewcials at Modern Domestic. I did a lot of brainstorming and a little sewing. At home I slowly started building the blocks. I had a few false starts and started over again. I finally started to like the way the blocks worked together. 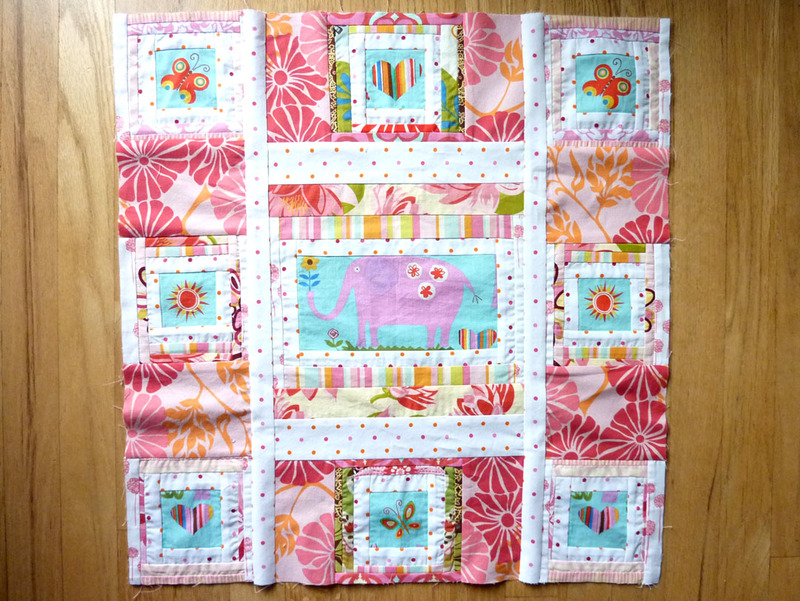 I planned on ending with a square, but the elephant block was longer than it was tall and I had to started building vertical space. I also added more space to the top and bottom heart blocks to make them the same width as the elephant block. All the vertical strips are sewn together. 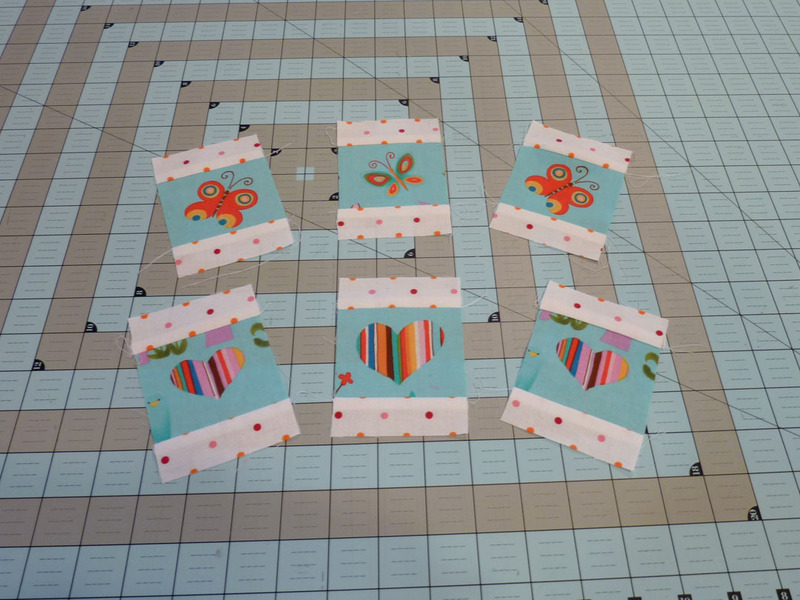 All three vertical strips sewn together with the vertical sashing. I must have either lost or didn’t take a photo of adding the border sashing. 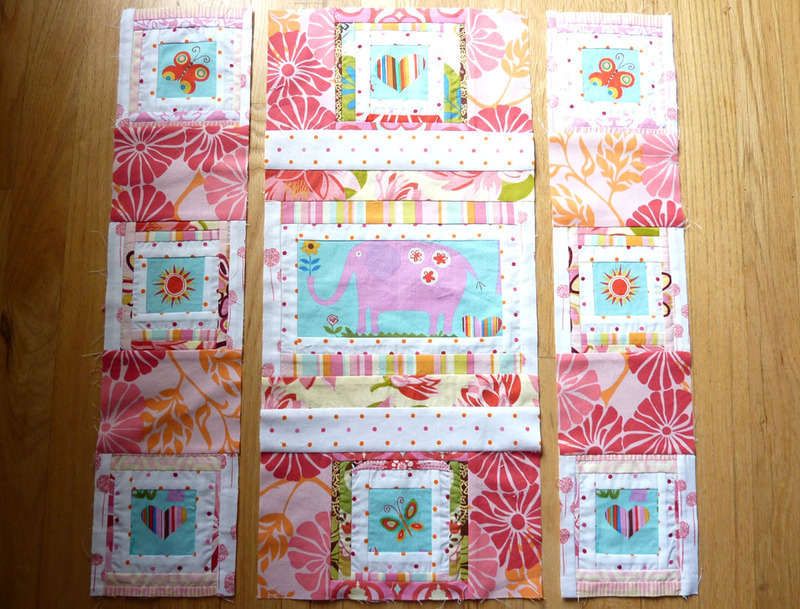 It all came together at that point and the white polka dot fabric broke up the dominance of the pink fabrics in blocks. I thought long and hard about how to quilt the top and I even asked for suggestions at one of the PMQG meetings when I brought the quilt for Show & Tell. 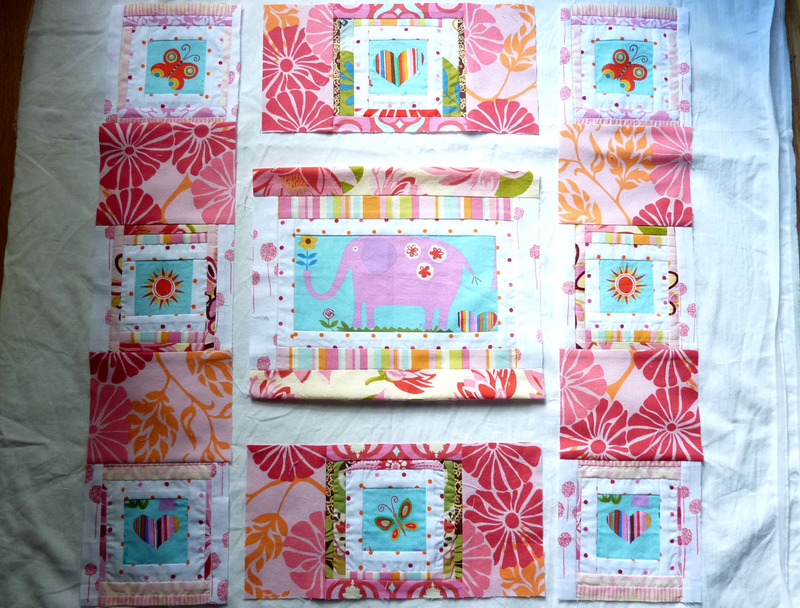 I ended up stitching around the elephant to highlight that block, which was my initial inspiration for the whole quilt. I considered doing more detail work in the other block centers, but I just ran out of time and after I completed the rest of the quilting, I decided that it wasn’t really necessary. 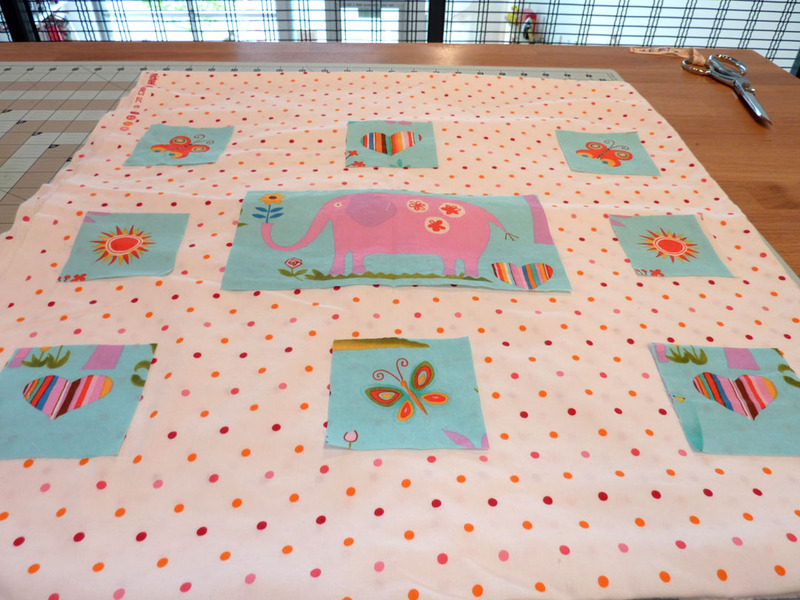 I used the polka dots as my guide and zigzagged all the sashing. It gave just enough depth that seemed to both highlight each individual block, as well as the sashing itself. 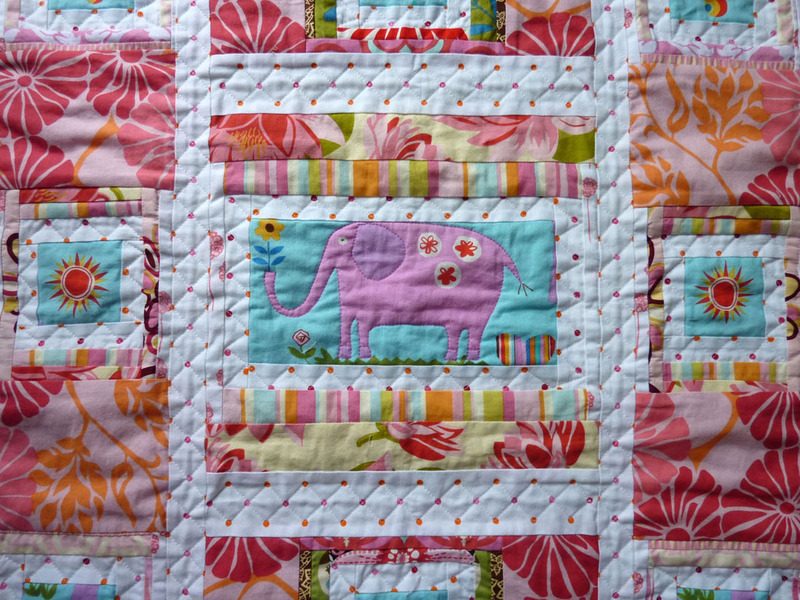 Here is a close up of the elephant block. 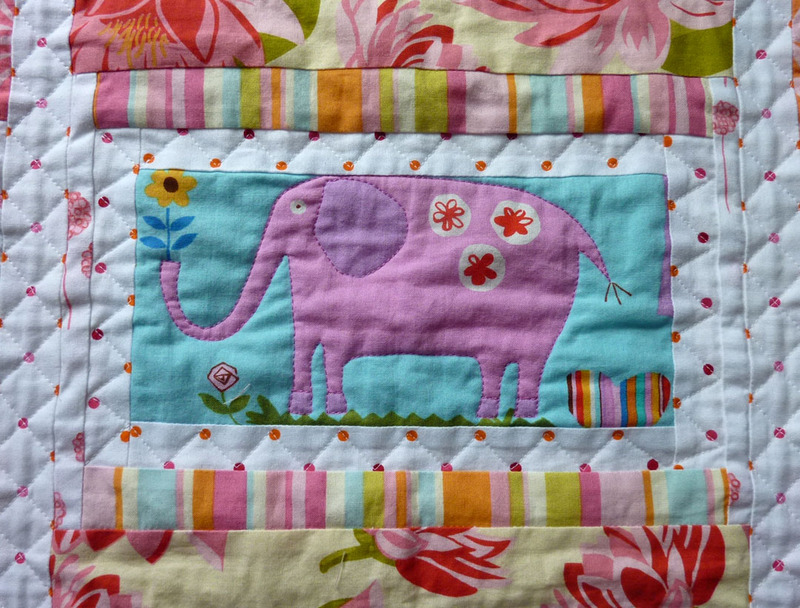 Here is the elephant detail on the back. 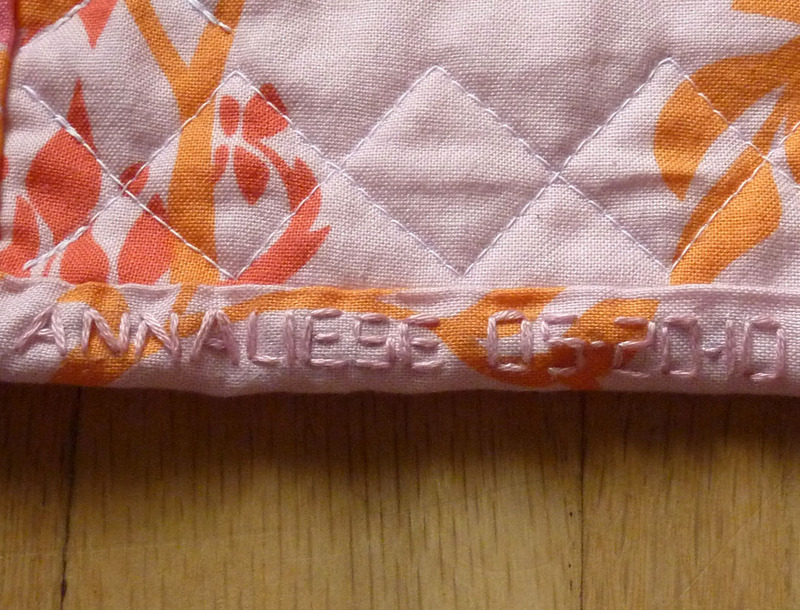 I embroidered Annaliese’s name and birth date on the lower left corner of the border on the back. I put my initials on the lower right corner. I was so excited to finally have completed my first quilt that I took pictures of it everywhere. The quilt had spent so much time in our house that Henrik wasn’t sure that he wanted to let it go. 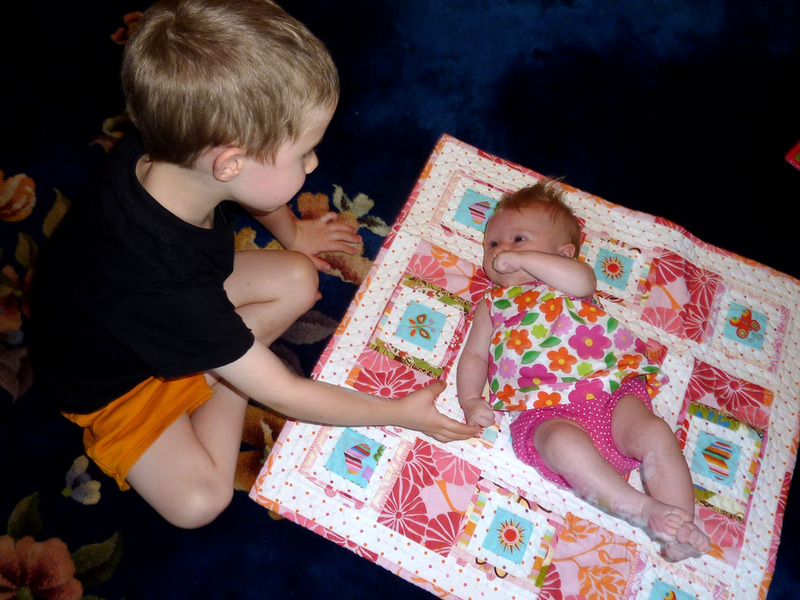 As Annaliese was being packed up into the car Henrik wanted one more picture with the quilt. 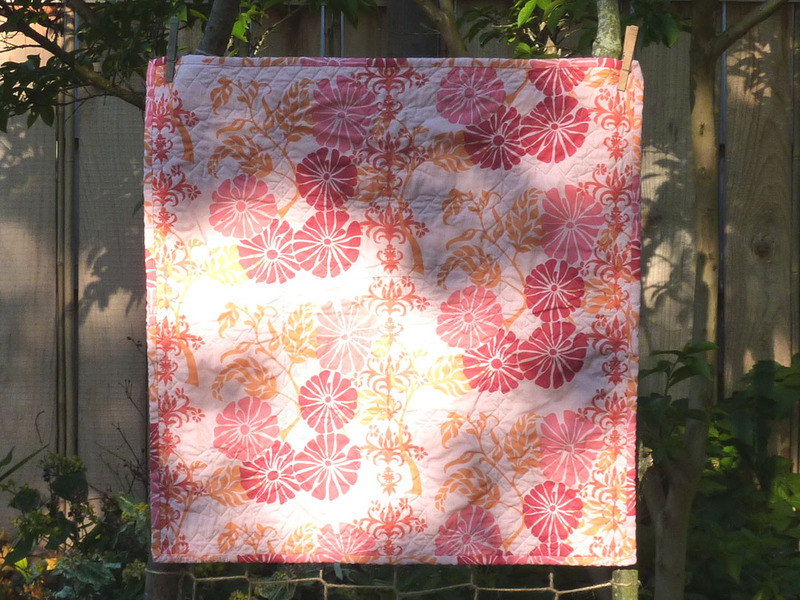 This isn’t exactly a post with instructions on how to make a quilt, but it is a nearly step by step summary of how I started and how I ended. I feel so much more knowledgeable and skilled now than I did at the beginning. 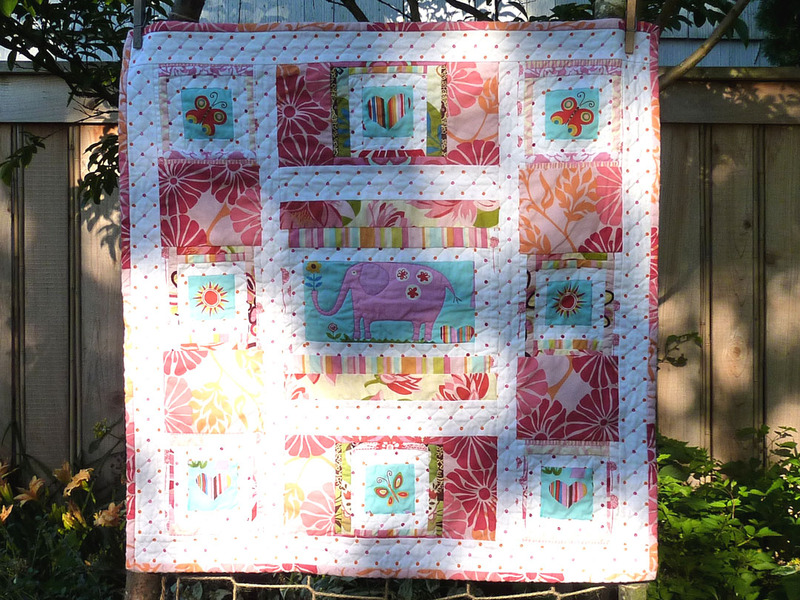 I wasn’t really sure at the beginning that I would be able to finish the quilt on time or at all. 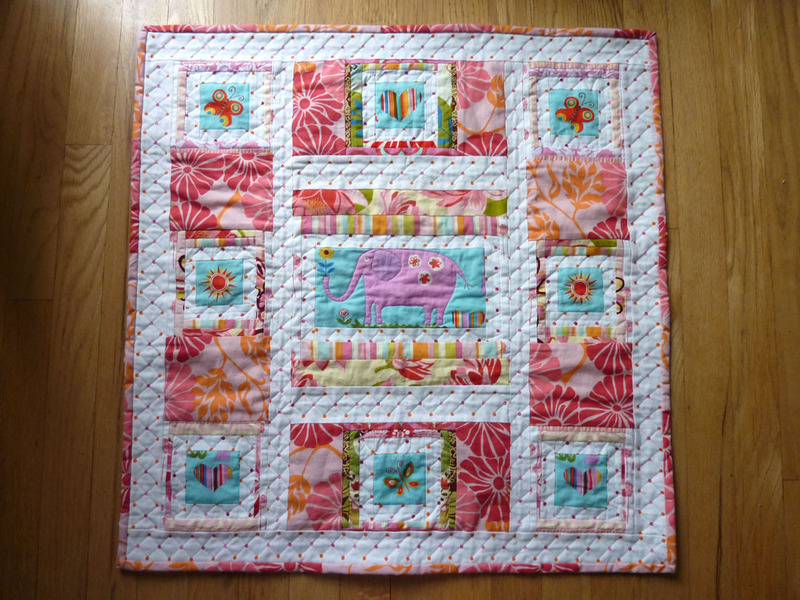 I am very happy with the way the quilt turned out. It is mostly what I imagined, but it also took me on its own creative journey. 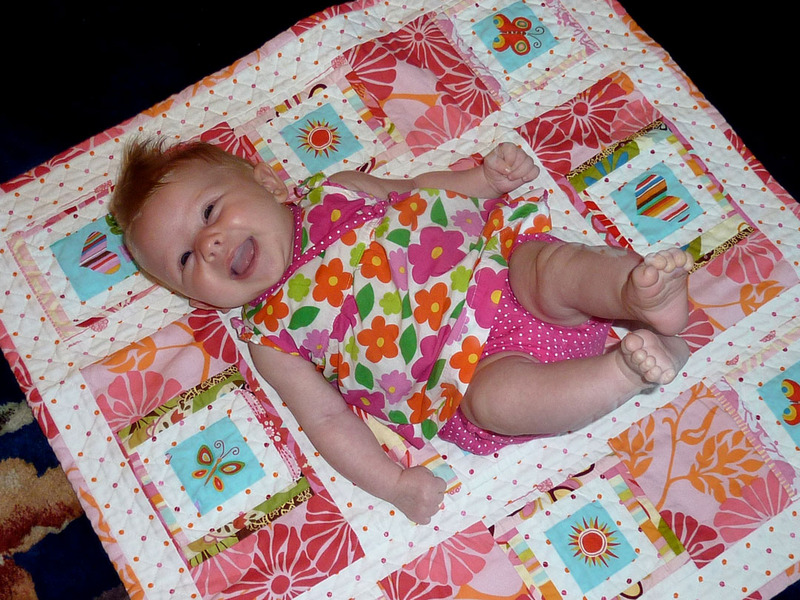 It warms my heart to know that Annaliese loves to hang out on the quilt and it is where she rolled over for the first time. I hope that you are inspired to bring to life the creative ideas that may currently live just in your head. 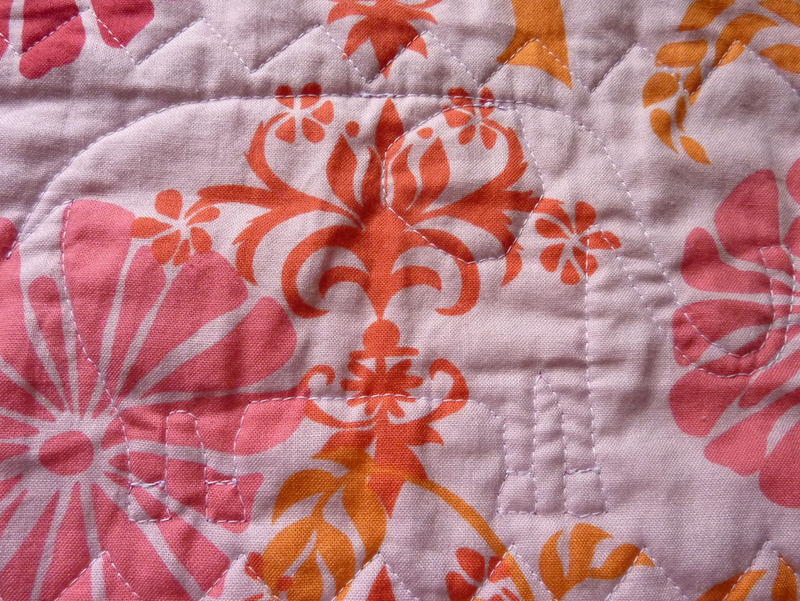 This entry was posted in Create, Family, Learn, Quilt, Tutorials. Bookmark the permalink. 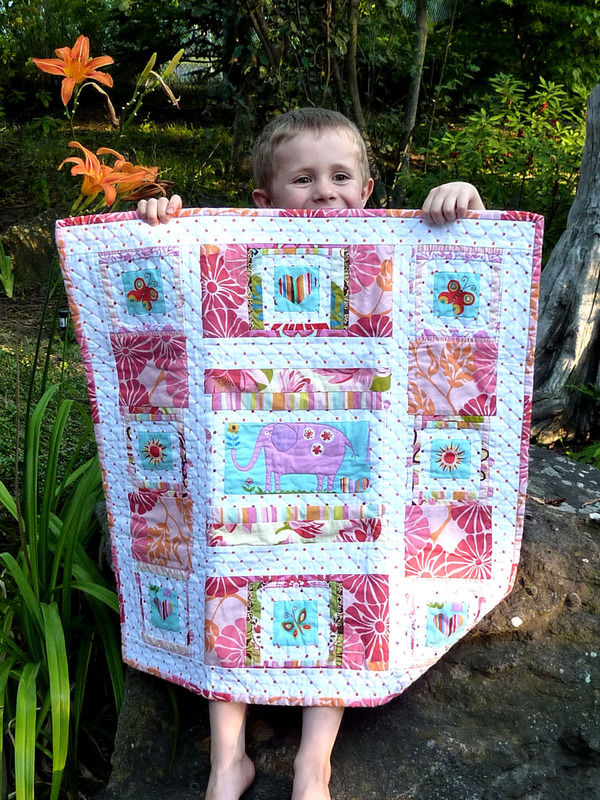 This entry was posted in Create, Family, Learn, Quilt, Tutorials, Uncategorized. Bookmark the permalink.